According to ABC News, the number of smartphone users has grown almost 200%!!!! Mobile fundraising is a sleeping giant that needs to be awakened. How can you tap into this opportunity? By offering mobile ways to donate! 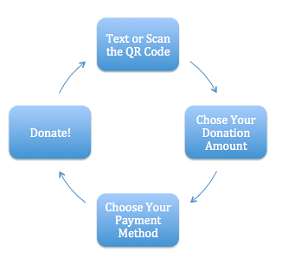 Mobile Donations are Easy and Convenient for Your Giver! Let's face it most people have their cellphones on them 24/7. Cellphone users have even admitted that if they forgot their phone they would go back for it even if it meant being late for work, class, appointments, etc. Cell phones are practically an extension of an Americans body. This leads us to a big discovery! People may not have their checkbook on them and they might not carry cash anymore, but they are always carrying their phone. So why is that exciting? Because they have no excuse to not donate to your cause! With today's technology receiving donations from a mobile device is easier than ever. With QR codes that are scannable to smartphones and text to donate numbers, collecting donations is open to a whole new avenue. If your charity is going to survive you need to break into the technology age. This means being able to accept mobile donations. Where can you get set up for mobile fundraising? Glad you asked! Sign up with our free fundraising profile and we will set you up with two different mobile fundraising options! 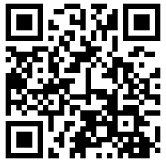 Individuals, Missionaries, Adoption, Medical, Personal Fundraisers Click Here! Don't let someone walk away from donating because they forgot their checkbook! Have a mobile option ready for them!